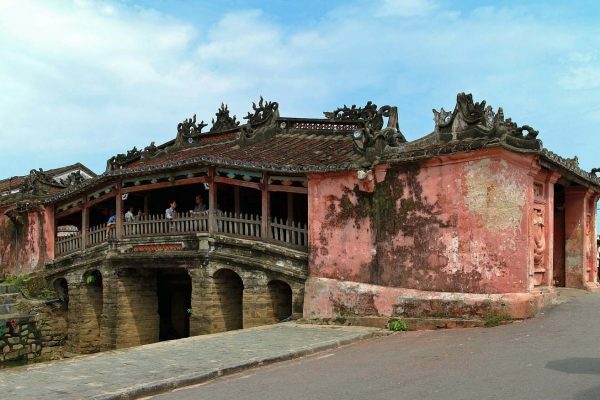 Vietnam, much like neighboring Cambodia, is a country that juxtaposes a unique cultural and historical heritage with jaw-dropping natural beauty. You could spend three months exploring the country and uncover a new facet each day. 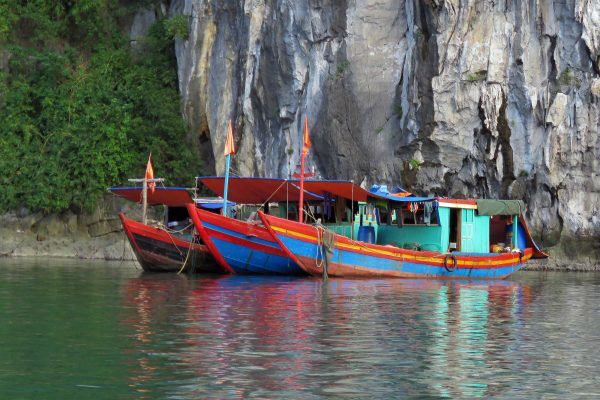 Adventure awaits around every corner—from the towering peaks of Halong Bay and the dense, lush jungles of Sapa to the pristine beaches of the expansive coastline. Modern-day Vietnam is largely influenced by its roots as a French colony, resulting in buildings and architecture that transport you to a well-preserved past that contrasts with a bustling present. The Opera Houses in each of the two major cities are prime examples. 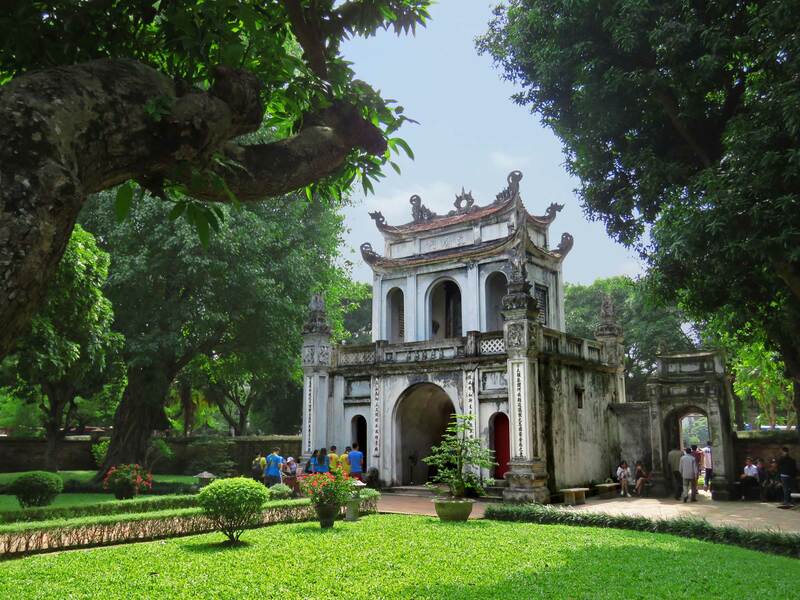 In Hanoi, there are museums and galleries aplenty, with the ancient Temple of Literature a standout. A tour to see local artisans at work is the best way to get up close and personal with craftspeople. Saigon is faster-paced in almost every way, but the architecture is just as arresting. Its version of the Notre Dame Cathedral offers a brief respite from the urban jungle, while the Art-Deco inspired Saigon Central Post Office is a unique flashback that combines eastern influences and French colonialism. 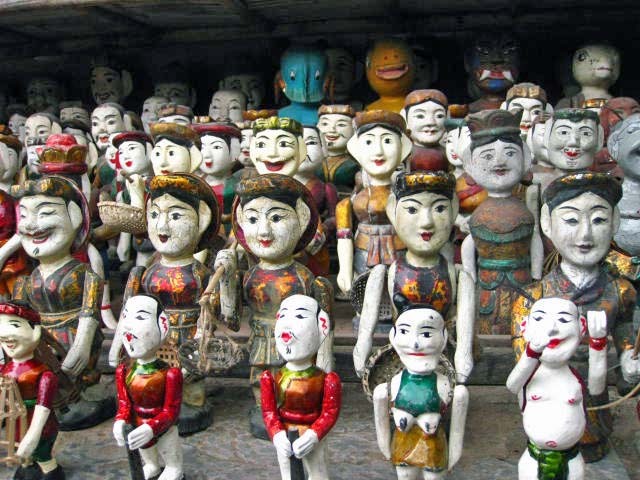 In a vibrant city like Saigon, you’ll never go too long without seeing artistic talents. 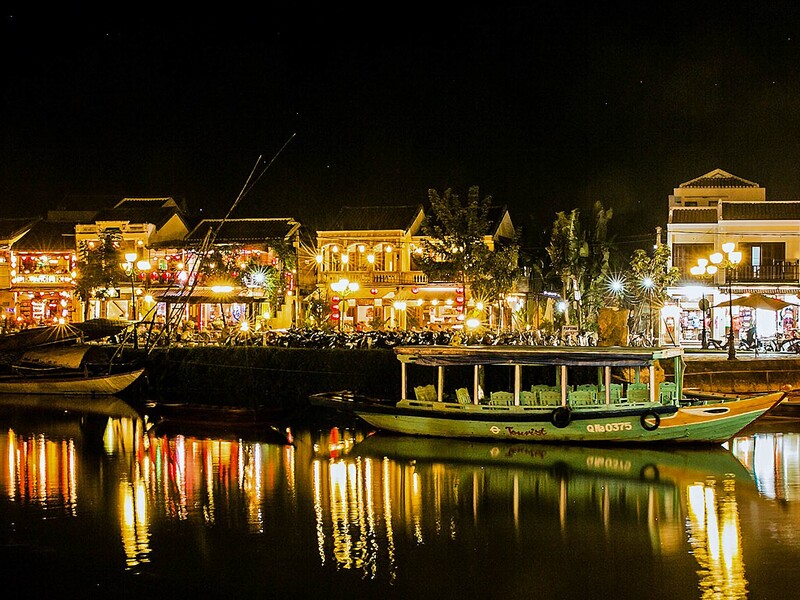 Hoi An is a small-town marvel. 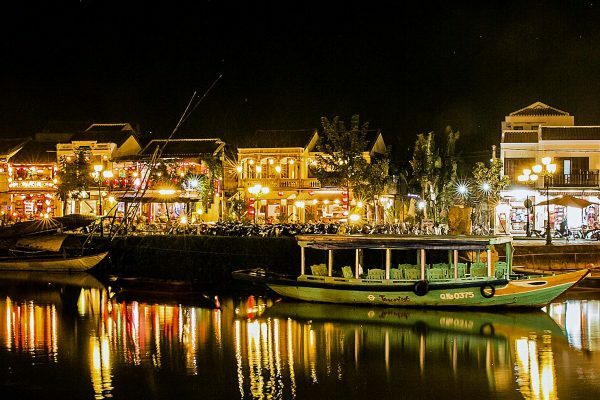 Its lantern-lined streets and vibrantly colored buildings make it one of the most charming and relaxing places in Vietnam. You can easily wander the pedestrian streets at night, stopping for various bites of exotically flavored street food. Vietnam’s history is, understandably, heavily informed by the relatively recent American-Vietnamese conflict. 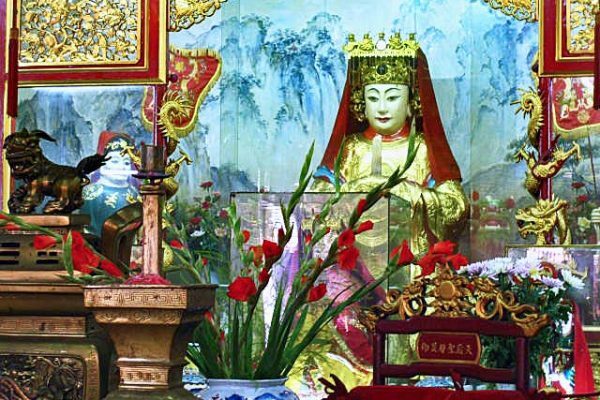 While part of the country’s allure lies in monuments to the war, Vietnam is determined not to be defined by it. 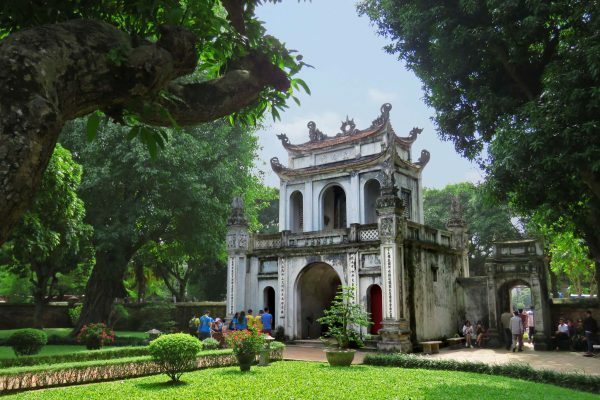 The Hoa Lo Prison, (probably not-so-affectionately) nicknamed the “Hanoi Hilton,” is a step back into this past, with interactive installations and showcases of well-maintained remnants from its days as a prison. (Keep an eye out for John McCain’s cameo.) The Ho Chi Minh Mausoleum is a marble tribute to the former Communist leader, nestled in a presidential park. Try to time your visit for the daily changing of the guard to add some pomp to your trip. Saigon’s Independence Palace is a site of rarely seen 1960s architecture in Vietnam, marking a tumultuous history of shifting power. While the historic ties alone make a trip to the palace utterly worthwhile, the nearby War Remnants Museum presents a striking tribute to the more personal side of war. 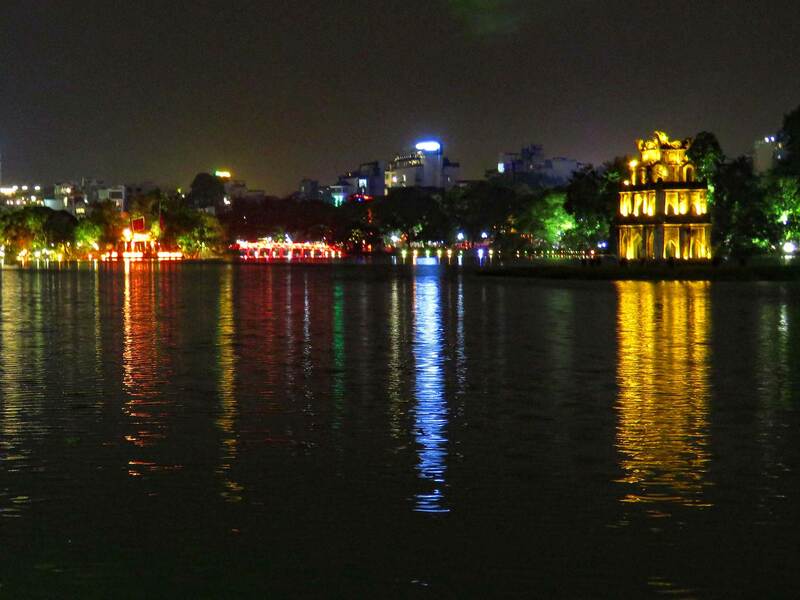 Hanoi is the gateway to the north, which means that most trekking begins from the capital. 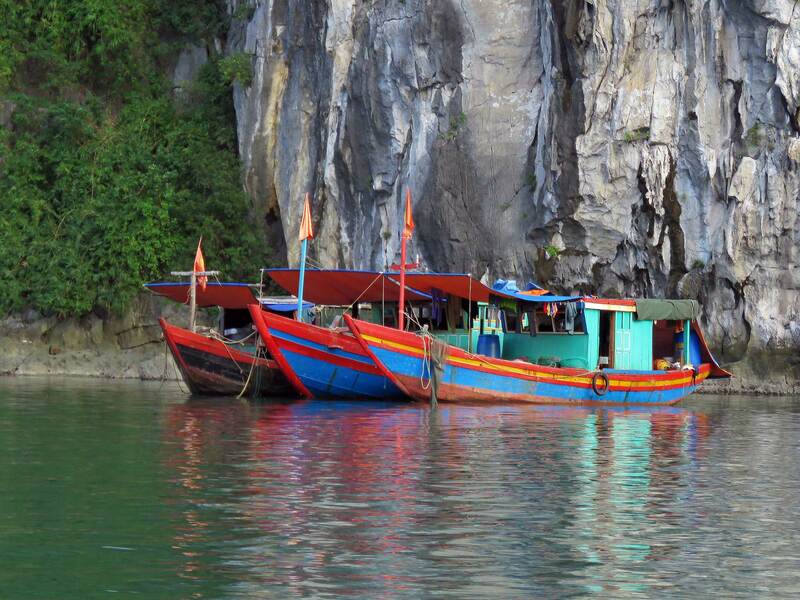 It also serves as a fantastic base to see the dramatic limestone peaks of Halong Bay jutting out of the water. 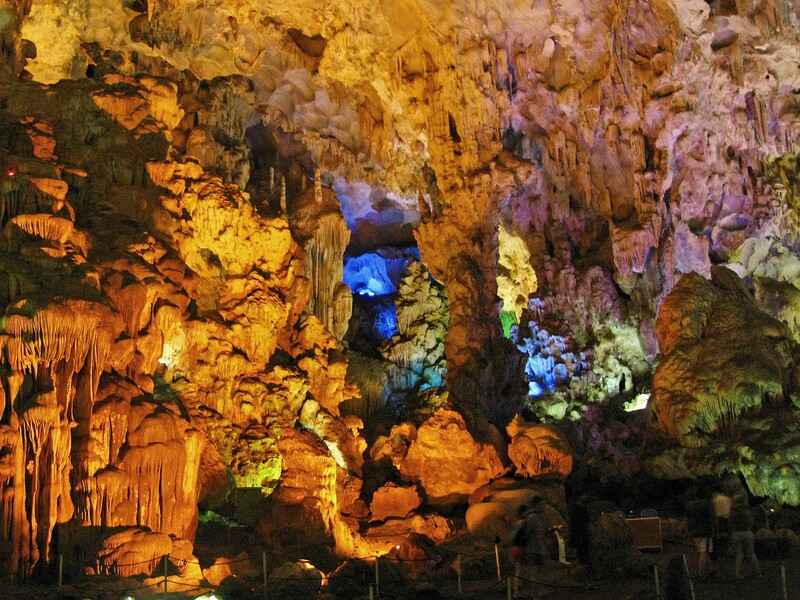 You could visit the nearby, ruggedly wild Cat Ba Island. It was declared a National Park, and it’s not hard to see why once you’re among its jade green waters and sandy beaches. While the classic Vietnamese imagery of cascading rice paddies comes alive in the hills of Sapa, the Mekong Delta is equally picturesque. 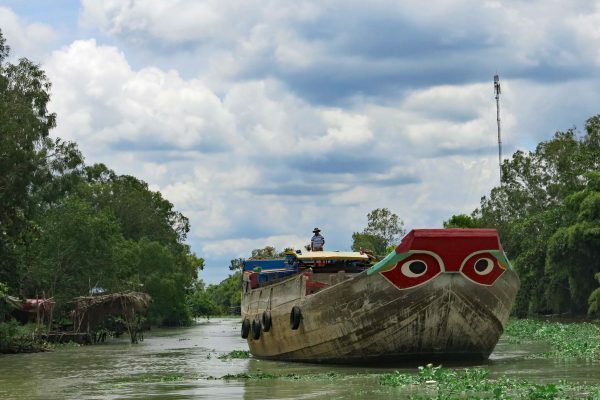 Weaving river routes carry boats, and markets float along in an organized chaos of bartering and trading. 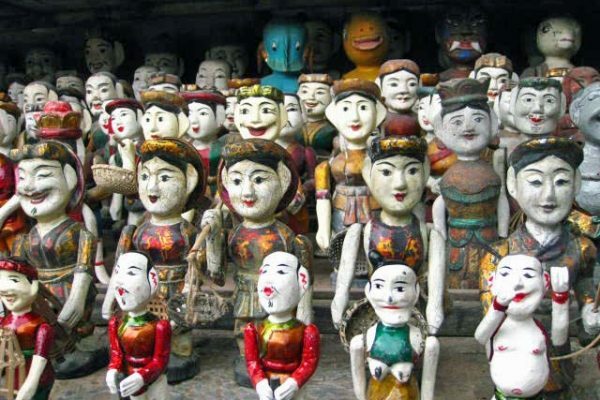 Once you brush past the touristy trinkets littering street stalls in Vietnam, you’ll start to come across the true gems, especially when you get off the beaten path. Hanoi’s Hang Gai Street is the perfect place to stock up on luxurious silks, while other areas within the Old Quarter are best for unique pieces you won’t find anywhere else. Smaller towns such as Hoi An are an epicenter for tailoring, renowned for their handmade pieces, as long as you allow time for several fittings to perfect your custom creation. Saigon is Asia’s up-and-coming fashion destination, with glittering department stores popping up almost every day. While such places as Ben Thahn market are the typical go-to locations for souvenirs, there are plenty of chic independent stores that allow you to directly support the local economy without buying tourist trinkets. And because Vietnam is a developing country, plenty of local initiatives invite you to use your spending to support charitable causes, which means there will be an interesting story behind every piece. 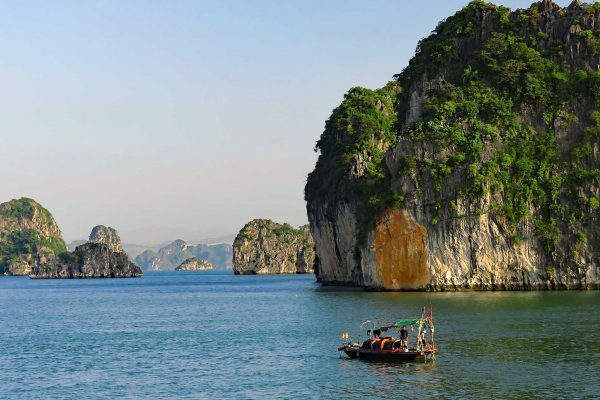 Contemplating Vietnam’s 2,140 miles (3,444 kilometers) of coastline (even more than beach-famous Thailand), you’ll be hard-pressed to find a beach that isn’t worth a trip. 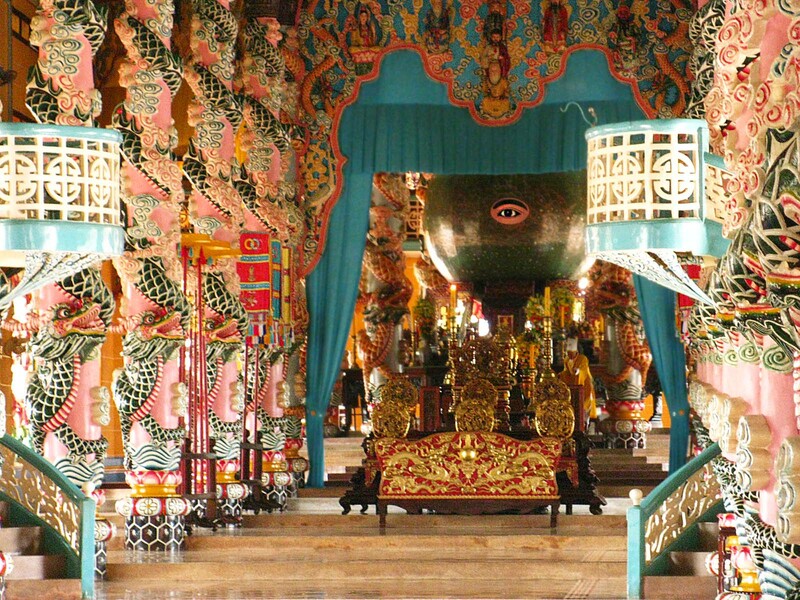 They’re among the best-kept secrets in South East Asia, but word is trickling out. Nha Trang is a classic choice, with islands dotting the horizon and city lights twinkling on the shore. It’s the ideal place to add scuba diving to your travels; plenty of dive shops offer trips. There are several high-end luxury resorts in the area. 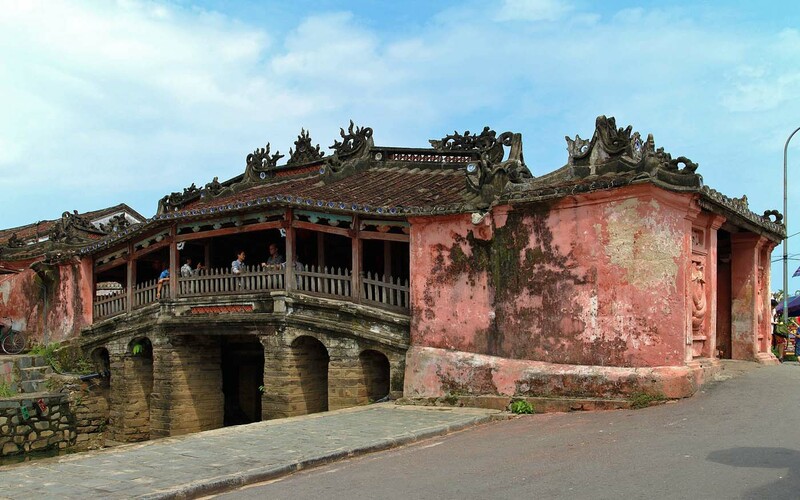 Elsewhere on the coastline is Da Nang, close to Hoi An, which has rebounded from its past in the Vietnam War. Boasting white sand, spectacular sunsets, and coral reef, each section of beach in Da Nang is an atmospheric place to relax. 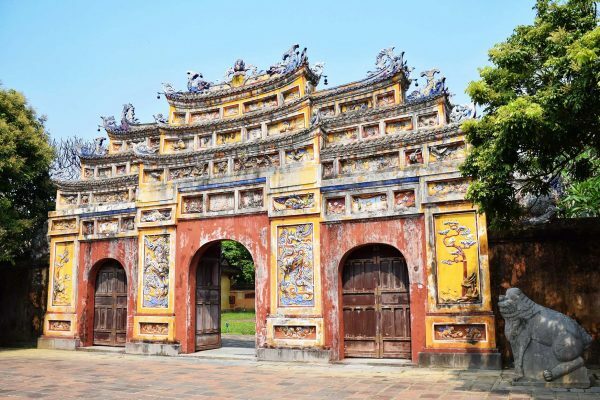 Phu Quoc island, a little off the beaten path, is the perfect up-and-coming destination for luxury travelers, with several deluxe resorts that recently opened. Featuring a jungle that almost cascades into the turquoise-blue ocean, this little island is a piece of paradise. Each region boasts its own array of unique aromas and tastes, making it effortless to find dishes you love. Even better is learning how to make them yourself. Hanoi and Hoi An both offer decadent and authentic cooking-class experiences in which you can become intimately acquainted with the regional flavors. For a true farm-to-table experience, a day spent touring the rice fields of Hoi An will leave you with an appetite and memories. No matter what you eat, you’ll never go hungry: Vietnam is consistently ranked as the world’s No. 1 culinary destination. It’s best savored through first-hand experience. Both Hanoi and Saigon have vibrant restaurant scenes featuring both Vietnamese and French cuisine. 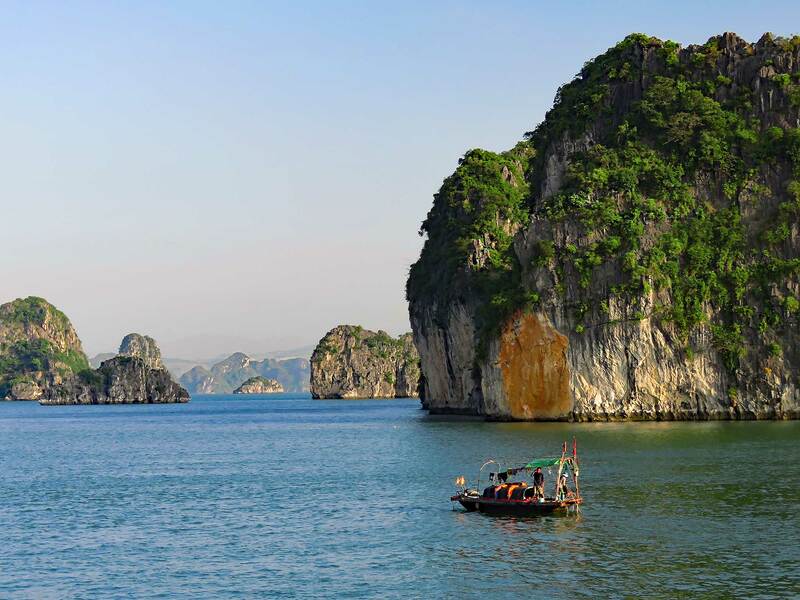 Vietnam combines well with trips to neighboring Cambodia and Laos and nearby Thailand. The international airports in Hanoi and Saigon (Ho Chi Minh City) are the most common entry points, with many flights via the larger hubs in Asia: Bangkok, Hong Kong, Seoul, Singapore, and Taipei. 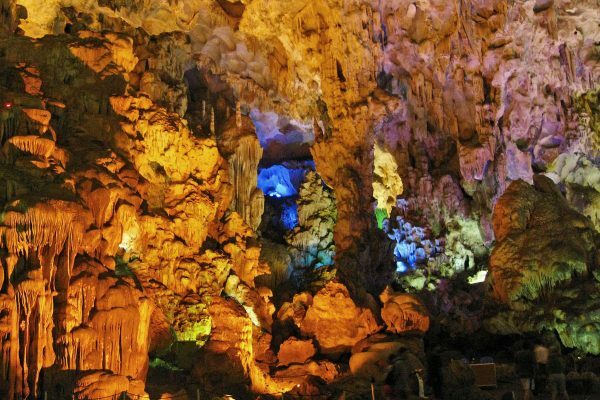 In Vietnam, as in most of Southeast Asia, the outdoors will be warm and humid, while indoors may be strongly air-conditioned, so layers are helpful. A light cardigan or long-sleeved button-down shirt can be useful for chilly interiors, cool early mornings, as sun protection, and to cover up when visiting holy places. 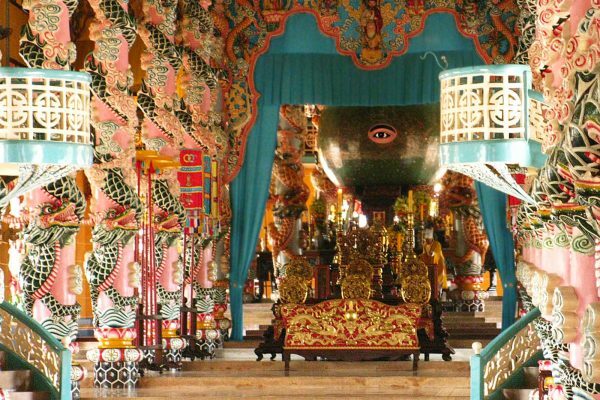 In many temples and palaces, visitors are required to keep shoulders fully covered (i.e., no tank tops or just a scarf over a tank top), not wear anything too low-cut, and to dress more conservatively (knees covered, with a long skirt or sarong, or at least capri pants). 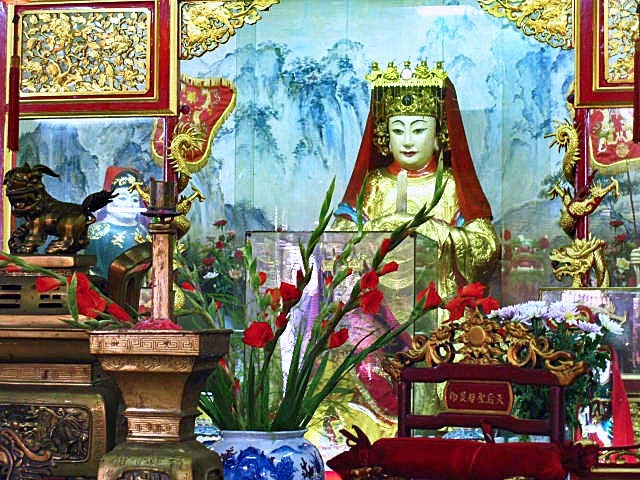 Shoes must also be removed to enter some temples, so sturdy sandals or slip-ons are convenient. For walking around in the evenings, casual dress is fine for night markets and more casual eateries. Some restaurants, bars, and clubs require closed/dressy shoes (no flip flops, beach shoes or sneakers; nice sandals are OK for women) and long trousers for men. Vietnam’s climate is warm and tropical. As it is a very long country, different regions experience disparate weather patterns. Generally, it’s always sunny somewhere and always rainy somewhere. 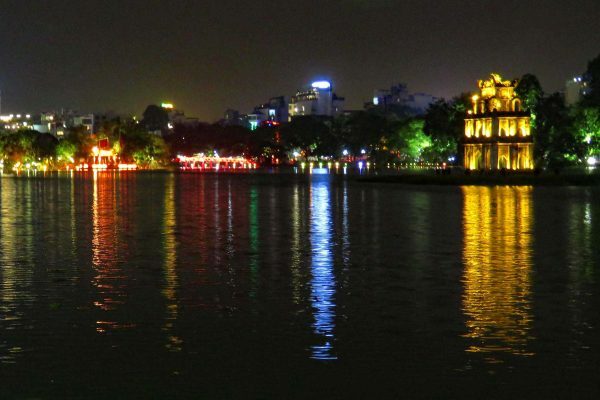 Hanoi and the northern part of the country and Saigon and the surrounding southern area have a climate similar to most of Cambodia and Thailand, with a dry season from November to April (during which time the north can be cooler) and a wet season from May to October. 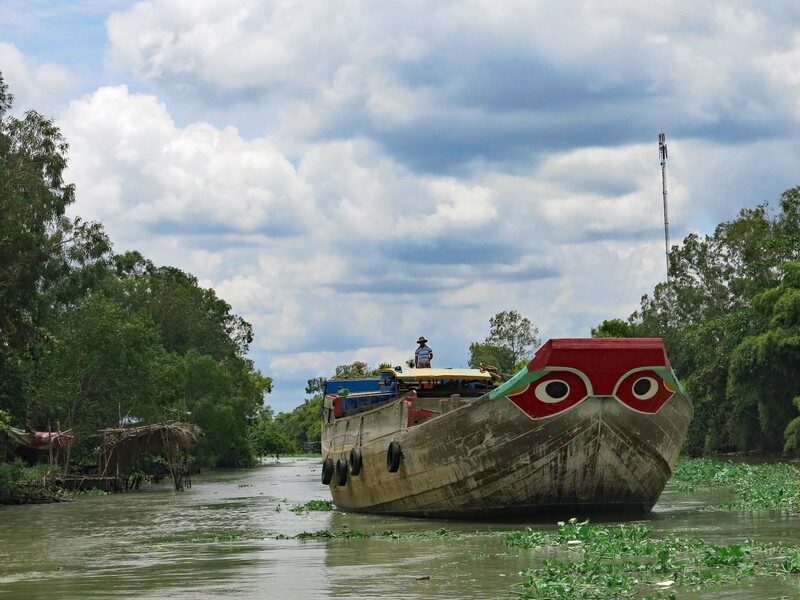 Central Vietnam’s hot and dry season runs from January to August. The wet season there is from September to November, when typhoons are possible.